the casual listener has plenty of choices and options. Most people here (the U.K.) tend not to cast their mind too far beyond homegrown artists. I feel we are all a bit restrictive and routine when it comes to our music tastes. The fact Brisbane-based musician Noralyn is growing in acclaim is the result of some bold and brave listeners taking chances. With fans across the world: The piano-drive songs are clearly having a huge effect. Inspired by the likes of Tori Amos and Kate Bush- two artists Noralyn has been compared to- it is hard to escape that wonderful voice and immersive songs. Channeling faith, life and love (its judgements and capriciousness): Noralyn’s music is from the heart and delivered with tremendous fortitude and beauty. 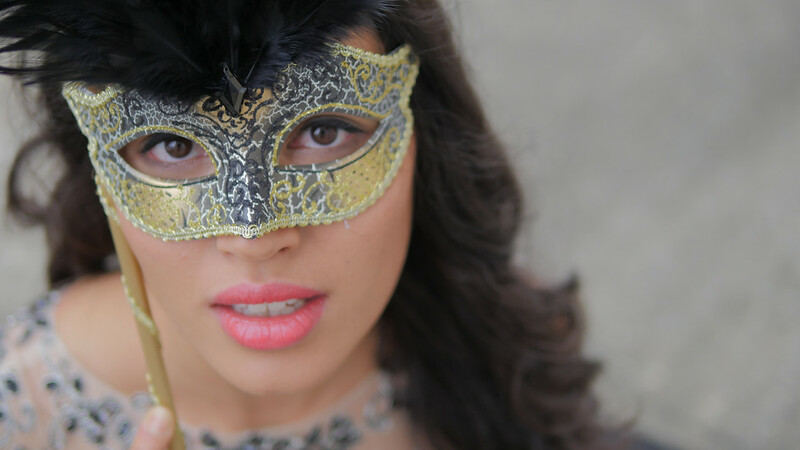 Her debut single, Masquerade, was released in July 2015- I was lucky enough to review the track- and was warmly received by fans and the media. New World has just been released- Noralyn’s current single- and shows consistency, evolution and urgency. With the possibility of a forthcoming E.P./album, I was keen to catch up with the Australian artist. Noralyn talks about her creativity process and the music of Brisbane: The albums that mean the most to her and the topics that drive her creative process. Hi Noralyn. How has your week been? What have you been getting up to? My week’s been great so far- thanks for asking. Just been up to the usual: Practicing my music and working (giving piano and singing lessons). For those new to your music: Can you introduce us? I’m an Alternative-Pop singer-songwriter from Brisbane, Australia. I studied classical piano, and this has had quite an influence on my sound (as my music is quite piano-driven). I’ve often been likened to Tori Amos and Kate Bush. You hail from Brisbane. What is the music scene like there? I moved here last year from a much smaller regional city; so comparatively it is thriving! Of course, it’s small compared to Melbourne and Sydney but still pretty vibrant. There are quite a few live music venues and new ones springing up - lots of great musicians and genres keeping it all going! You have such a distinctive style of music and vocal. Which artists/albums were important to you growing up? Growing up, I didn’t actually have much exposure to many artists or bands as I was brought up listening almost exclusively to classical music. It wasn’t until I was a bit older- in my later teens- when I ‘secretly’ started listening to popular music and discovered artists like Tori Amos, Regina Spektor; Imogen Heap, Alanis Morissette – so more sort of Alternative artists - as I enjoy listening to music with lyrics that make you think. 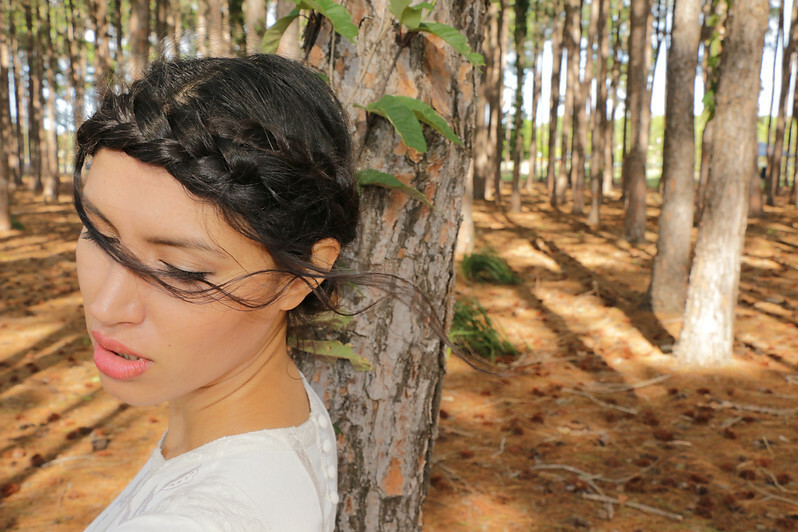 Brooke Fraser would be my favorite artist. The track New World was released last month. Can you tell us a bit about the song/influence behind it? New World is a song inspired by my Christian faith. It’s a song about new beginnings: Being set free from past hurt and mistakes and finding hope and purpose in Jesus. I know you have a busy year ahead. Will we see a new E.P. or album arriving? I have a stack of songs that I really want to share, so I would really like to record and tour a full-length album soon! So, hopefully working towards planning either that or an E.P. - to be recorded sometime in the not-too-distant future. Looking back at 2015: Which memories stand as particular highlights? Well, I ‘officially’ started my solo music venture last year: Moving to Brisbane for that purpose. Recording my two singles- Masquerade and New World- and then releasing my debut single, Masquerade- and my first music video in July- were, of course, all highlights. You have a lot of fans in the U.K. and further afield. Any plans to come and tour later this year? I would absolutely love to tour overseas but at this stage, that’s not really plausible financially. Hopefully- if I can get an E.P. or album out- I will be looking at planning a tour in Australia. But it definitely is a dream of mine to be able to take my music on tour nationally and overseas. There are a lot of great musicians coming through in Australia. Either locally (or nationally): Which stand out in your mind? Conrad Sewell. Jarryd James. Megan Washington. If you could select five albums- either current or past- that has been most important to you: Which would you select? And lots of classical music and film music, haha! Social media helps a lot of musicians promote and share their music. How useful has social been to you? Do you get to connect with fans one-on-one a lot? I’m not the best at social media. As an independent artist, it has definitely been the most useful tool to promote and reach fans- and let them know about what’s going on. Basically, all my promoting for my two singles was done through Facebook - so pretty useful! I can be a bit slack with keeping people up-to-date though: My bad! Still working on that! For those who do not know much about you: Could you tell us a secret- something nobody knows about you? Wow, I really can’t think of anything particularly interesting… Umm, I like listening to Italian Pop music? Haha! When it comes to your music and sounds: Which topics influence your writing? Do you need to get in a ‘special place’ or is there a particular mood you need to be in? I guess a lot of songs come out of thoughts and feelings I’ve experienced: Life and people and (definitely) my faith. I think I write my best when I’m not trying. Most of the songs that I ‘keep’ come to me unintentionally. Generally, once I’ve started writing a song- which I’m feeling really connected with- I have to keep working on it ‘til it’s done. So, I’ll keep going about the rest of my day trying to get that lyric or melody right in my head. What defines music to you- might be an impossible question, I know. What does it mean to you? How does it make you feel? How important is it in your life? In general, I’m not very eloquent or articulate, so to me music and songwriting allows me to translate my thoughts and feelings. Often, writing will help me sort out my thoughts better and helps me take a bigger picture view of life. I also love how a song can mean so many different things to different people- and be interpreted with a unique relevance to each individual. With or without lyrics, music is a universal language. And there’s something so special about music in that it can reach people in a really personal way. Do you have any advice for any musicians coming through: Those who are not sure if they have what it takes? Well let's be honest, I’m still very much in that category! But if I were to give advice, it would be, stay true to your ‘musical self.’ Definitely you’re going to be influenced by other artists and grow and develop and your style will evolve. I think it’s important to not just try to be like someone else- because you’re never going to be better at being another artist than that artist (obviously!). In doing so you will be missing out on your own uniqueness and what gives your music individuality. There’s music that only you can make and you can impact others’ lives with it. It’s such a tough industry to break into, so I always try to stay focused on ‘why’ I’m doing this. Ohhh, well, let’s go with the song I happen to be listening to right now which is Can’t Take It In by Imogen Heap. It’s got this sense of beauty and wonder that makes me feel all refreshed and happy inside!